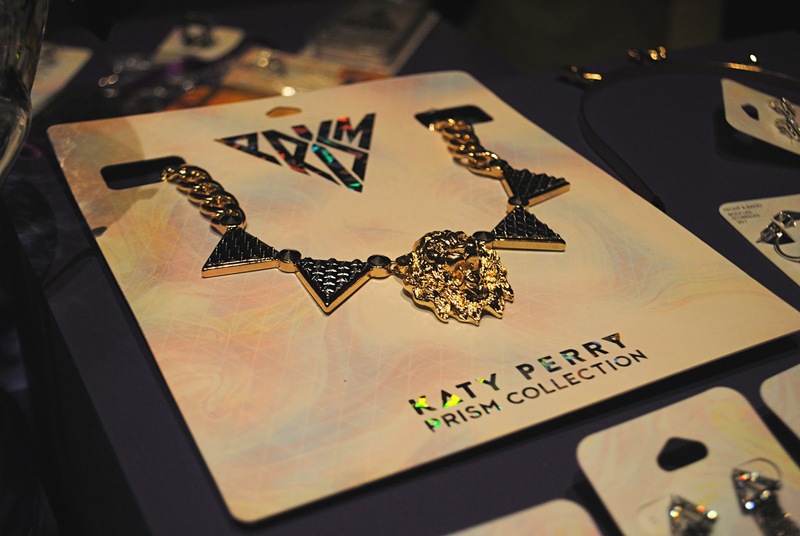 Last night I headed down to London to take a peek at the Claire's A/W Press Day and take an exclusive look at the amazing new Katy Perry PRISM Collection. 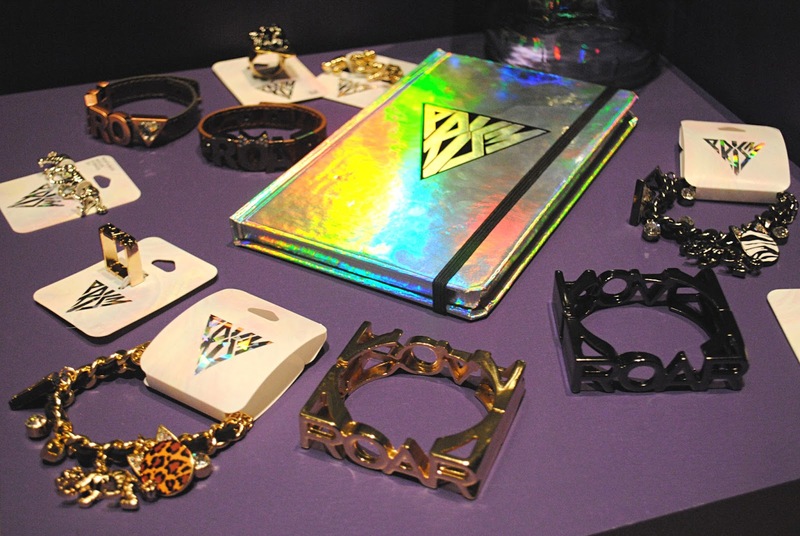 As you may already know, I am a HUGE fan of the beautiful Katy Perry and so I was super excited to take a peek at what the collection had to offer. 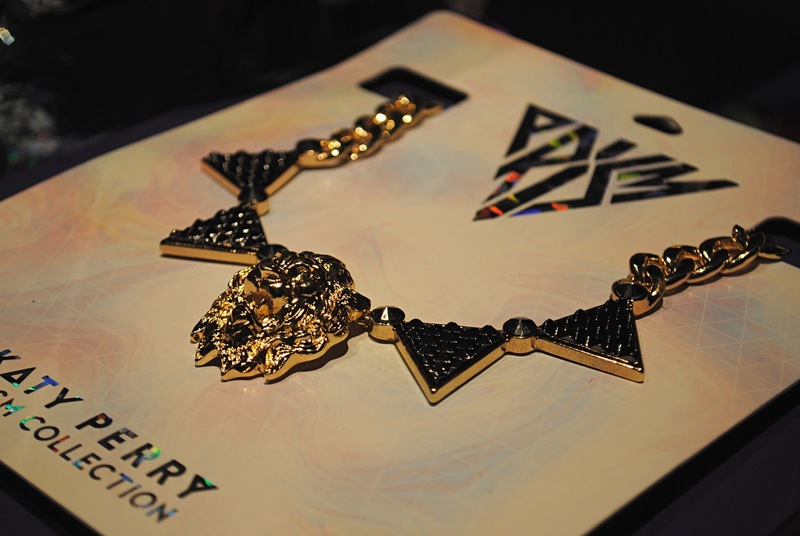 The idea behind the collection is simple - Katy has personally put together the collection for her fans to wear when they come to watch her PRISM tour, which starts in May. I think it's a fab idea and something that I've never really seen done before. I'm actually going to see Katy on tour in May so I'm definitely going to be getting my hands on some bits from the collection to wear whilst I'm there! The collection itself is absolutely stunning - everything screams Katy and is all focused around her PRISM album, predominantly focusing on tracks like 'Roar' which really shouts out about being strong, empowered and a 'champion'. 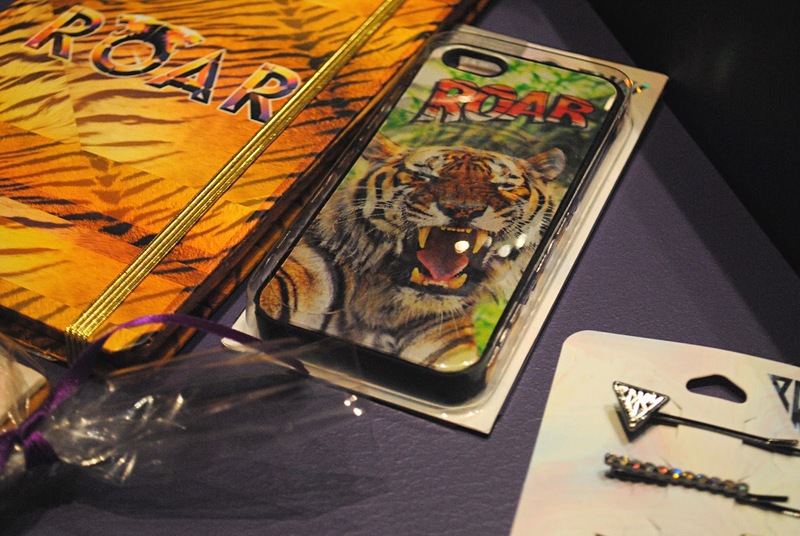 There were lots of tiger, lion and smaller cat goodies to be seen, as well as prisms-a-plenty (obviously, seeing as that's the theme for her album and the tour), and necklaces, rings and bracelets emblazoned with the words 'champion', 'roar', and 'hero'. 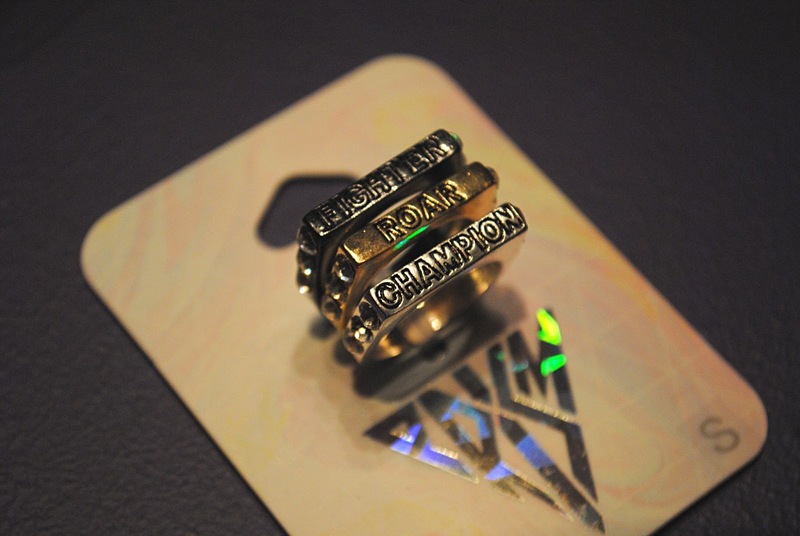 I also spied a cute little 'Unconditionally' ring which I thought was sweet, and obviously links with another of Katy's tracks off the PRISM album. 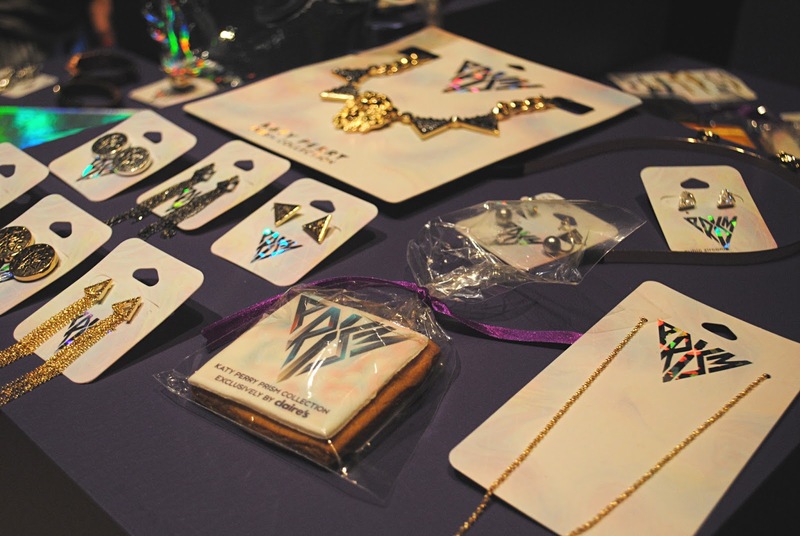 As well as jewellery, there were hair clips, headbands, notebooks and even phone cases based around the PRISM theme, some of which I thought would be ideal for Perry's younger fans. 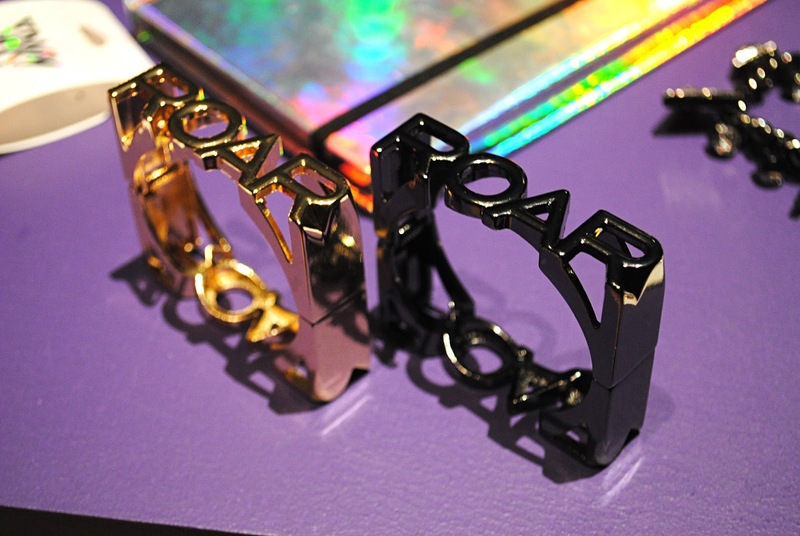 I was totally drawn to a 'ROAR' headband which I'll definitely be purchasing before I go to her gig in May! 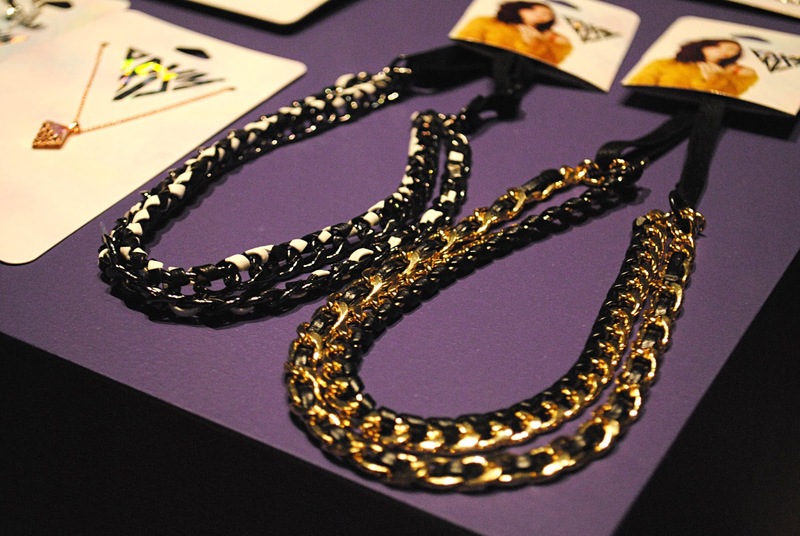 The great thing about all these pieces is that they're really amazing prices, with the chunky necklaces coming in at around £14, which is a total bargain in my eyes. 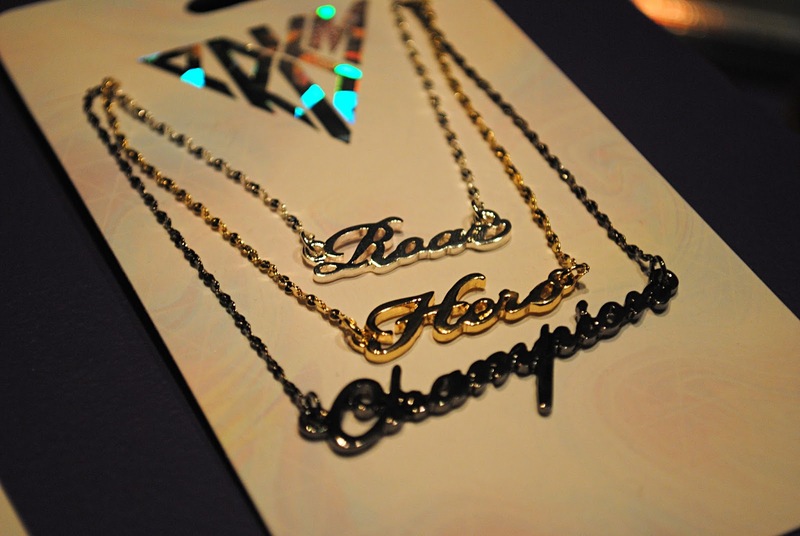 I also love the fact I can totally see Katy wearing these and it's clear to see she obviously had a lot of input into putting the collection together. 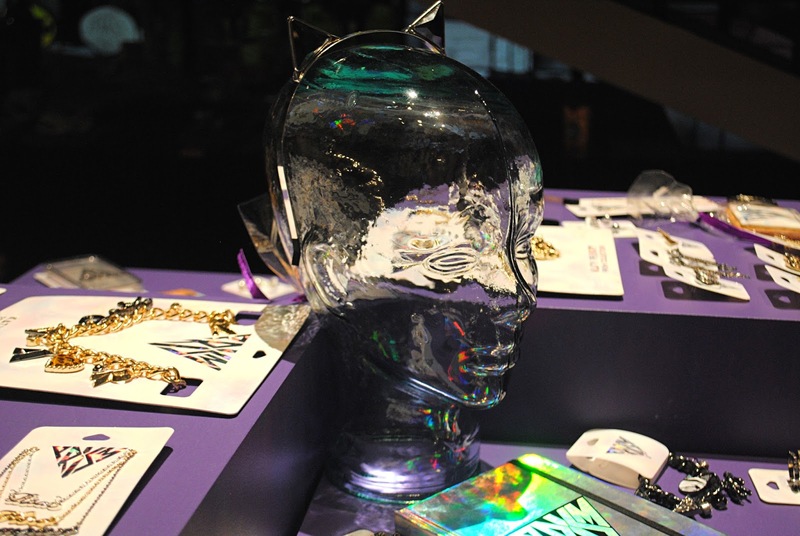 I had an amazing time at the event, and as well as looking at Katy's collection, it was also really great to see what other pieces Claire's have lined up for the coming months. There were some really beautiful vintage-style jewellery pieces on show, as well as gorgeous fascinators, headpieces, and floral-themed items, as well as some stunning makeup bits and pieces. 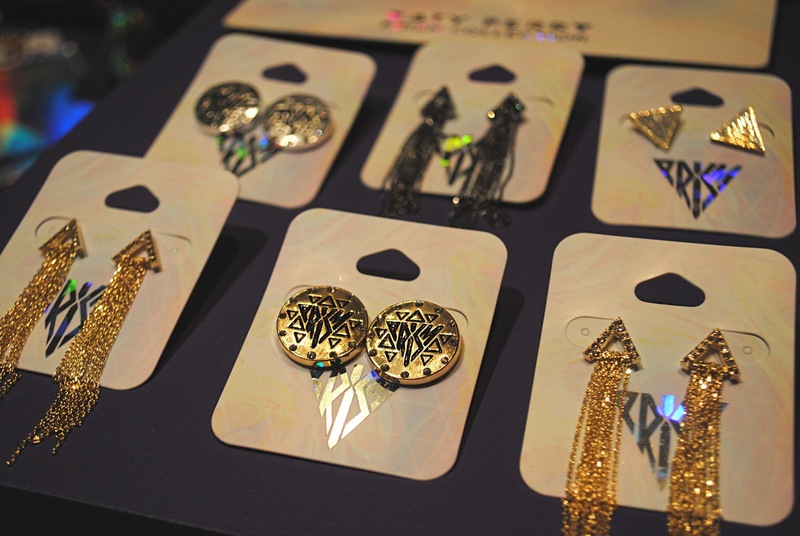 There are definitely lots of gorgeous things to come from Claire's!